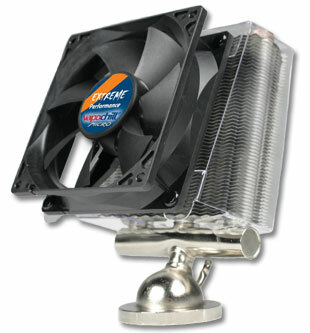 The CPU Cooler Antarctica CPU01/AT block Asetek 03-L-2531 is an excellent block for high performance and overclocking. 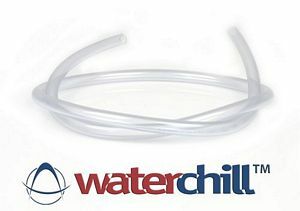 Based on pure Copper and equipped with STREAM CHANNELS which facilitates a very fast distribution of heat from the inlet point this is the ultimate tool for the extreme enthusiast. 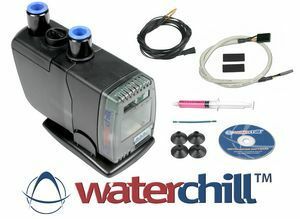 The intense flow speed (little internal friction) and a great heat spreading gives the WaterChill CPU cooler Antarctica Maximum cooling capacity. 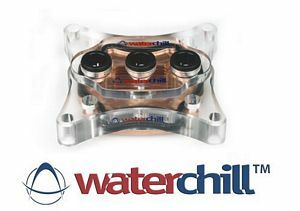 The WaterChill CPU cooling Antarctica block offers the best cooling performance on the market. No more no less. Reduction of CPU core temperaturs at max load by 40-70%. Significantly improved CPU stability. Broadest application versatility on the market. Two water outlets for more aggressive water flow. Extreme overclocking potential. 10 times more effective than air cooling. NEW Push on fittings for tool-less and easy assembly of tubes on the CPU block. A machined finish that ensures a high and uniform quality and perfect CPU contact. Optimized fittings for maximum flow.